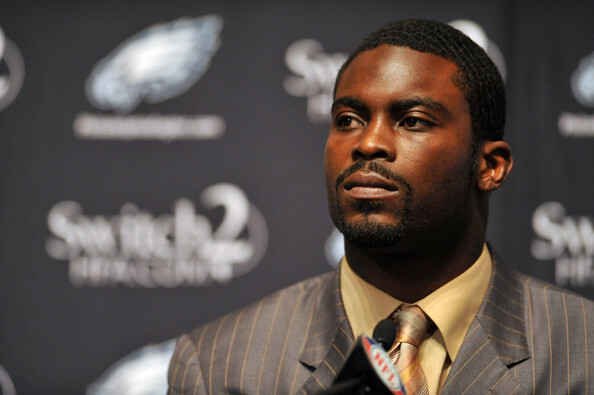 *Philadelphia Eagles quarterback Michael Vick released a statement Thursday saying he had “nothing to do” with a shooting outside a restaurant after a birthday party in his honor there last week. In light of surveillance tape that shows Vick left the Virginia Beach club only three minutes before the shooting, and not 10 minutes earlier as he had previously stated, the athlete says he stands by his original timeline and is continuing to cooperate with authorities. The victim was not identified by police but it has been reported that he was Quanis Phillips, one of the co-defendants in the dogfighting case that sent Vick to prison. A hospital spokesman confirmed that Phillips was treated and released last Friday. Vick remains on probation and part of his terms of release is he not allowed to associate with anyone convicted of a felony. NFL commissioner Roger Goodell made a point of saying when he reinstated Vick in the wake of his suspension from the league that Vick had to abide by his probation restrictions to stay in the league. As previously reported, police in Virginia Beach – who earlier said he wasn’t a “person of interest” in their investigation – said they hadn’t ruled out Vick – as a suspect after reviewing the surveillance tape. Guadalajara spokesman, Allan Fabijan, claimed that video footage showed Vick at the nightclub closer to the time of the shooting than the player’s attorney had indicated. But Vick said in his statement that his original version of events was accurate. three mins or Ten mins? If Vick was not there then that is good he was not actually involved but, WHY! is he associating with the same men who were involved in the dogfighting situation. If I were Michael I would leave those men alone they dragged him down once w what is to keep it from happening again. Yes, Michael was an adult and got involved on his own but as a felon you have to toe the line. Someone help me out here? I know felons cannot have a gun, no alcohol and can’t vote. Now, it says they cannot associate with other felons, is that true ? Are they able to find employment? I don’t know any convicted felons so I am just curious as to what happens to them once they have been released from prison. i’ve never in my life heard the “don’t associate with other felons” clause in anyone’s probation. i’m not saying whether it happens or not but michael vick’s situation was the first i heard of it. michael vick would be a damn fool if he is still associating with someone who threw his azz under that bus in a blink of the eye. yes it seems they are after him and trying to prove it was him instead of finding out who really did it. I mean it would be mindless to have someone killed at “your” party! I am with you on your post!